Nobody walks away from an explosion like The Stath. He started out as a competitive diver for Great Britain, became a black market salesman, then landed a role in Guy Ritchie’s Lock, Stock and Two Smoking Barrels. 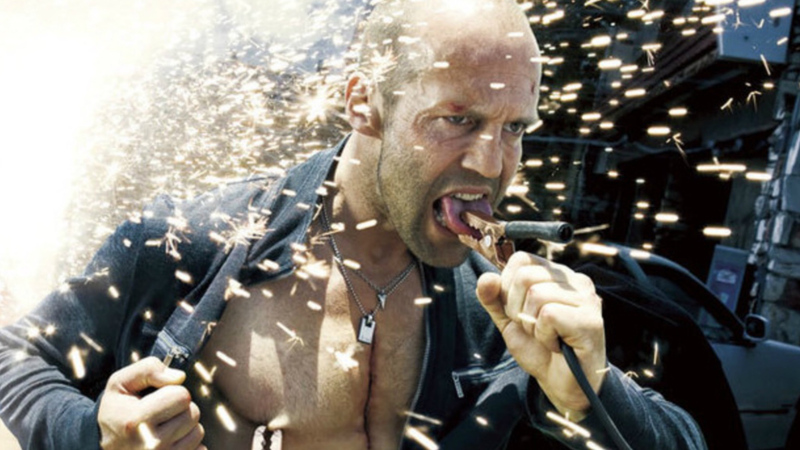 Jason Statham hasn’t looked back since that cockney crime flick in 1998. His driver-for-hire Frank Martin in The Transporter put him on Hollywood’s map, transforming him into Britain’s number one hard-nut action star. He’s back in action this week, starring in a sequel to his remake of The Mechanic, titled Mechanic: Resurrection. This time around The Stath’s Arthur Bishop sees the love of his life Gina (Jessica Alba) kidnapped, and to get her back he needs to complete three impossible assassinations. Mechanic: Resurrection opens in cinemas on August 26.